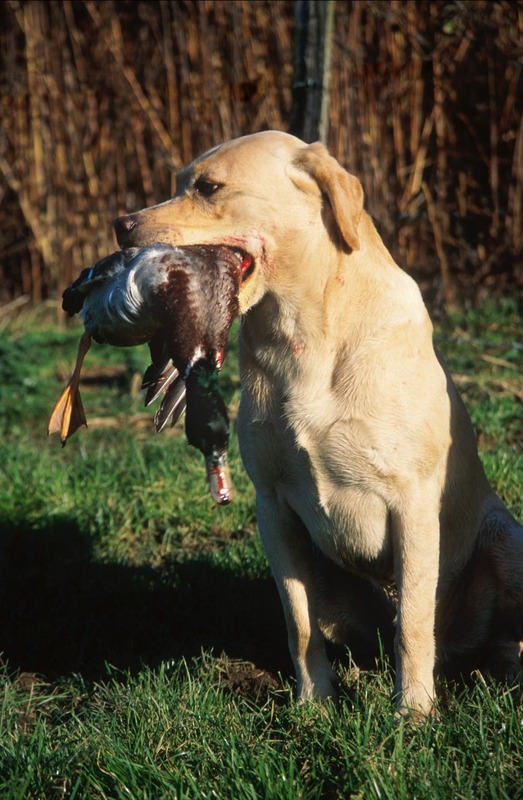 The gun dogs are all trained to collect the birds with out damaging them. 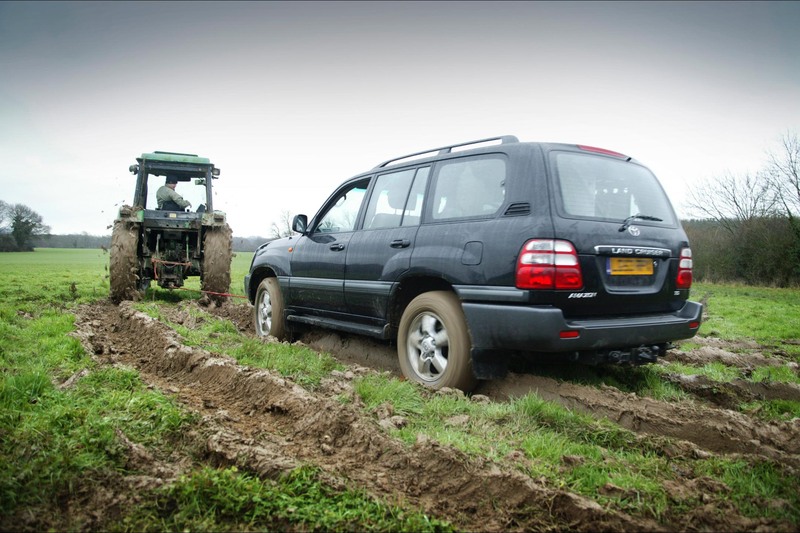 The guns arrive fully kitted out in their country geer and 4x4's. 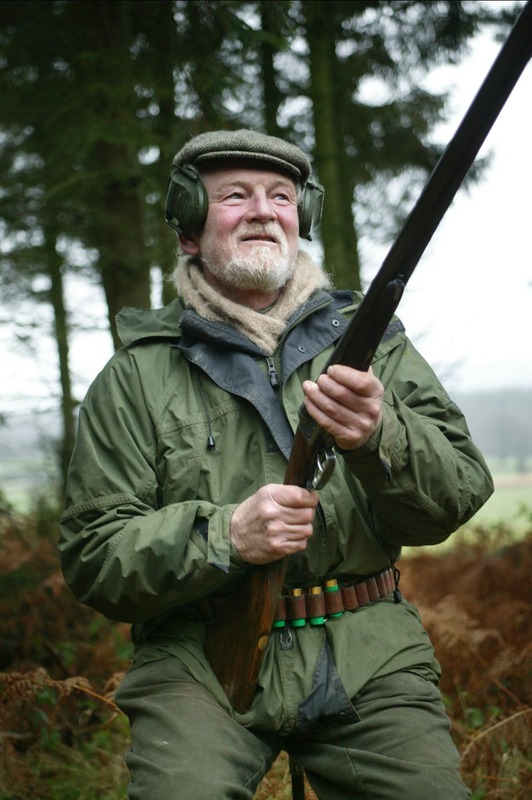 Duck shooting in the Surrey countryside 17/12/2004. 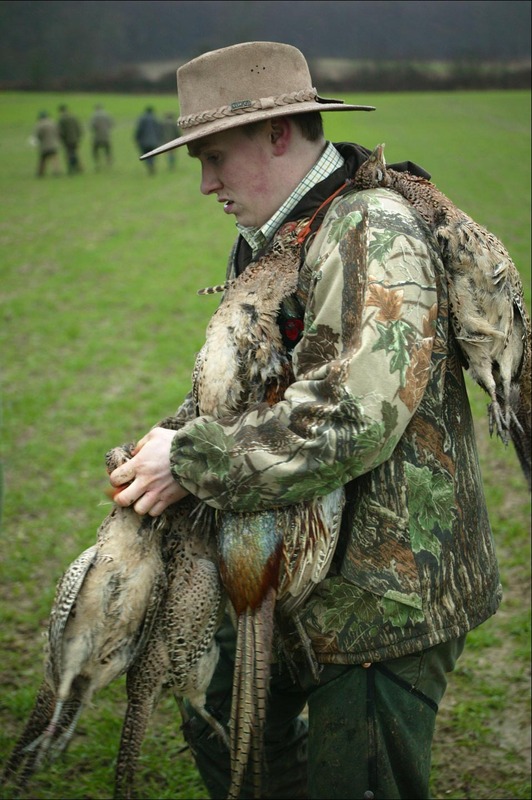 Pheasant shooting in the Surrey countryside 17/12/2004. 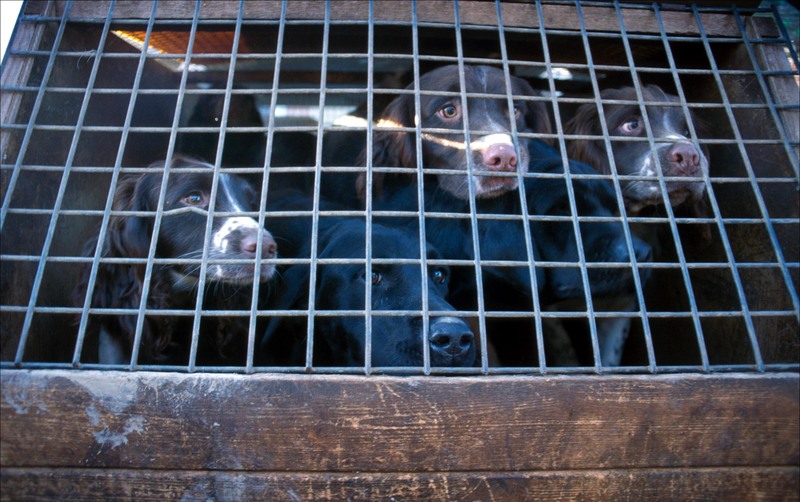 Put to air by the beaters, the birds fly up in mass, many escape, a few do not. 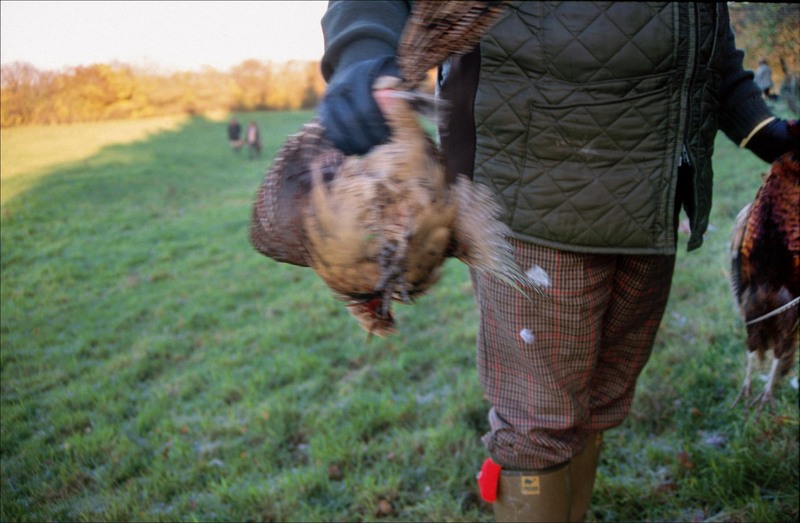 Pheasant shooting in the Surrey countryside 17/12/2004. 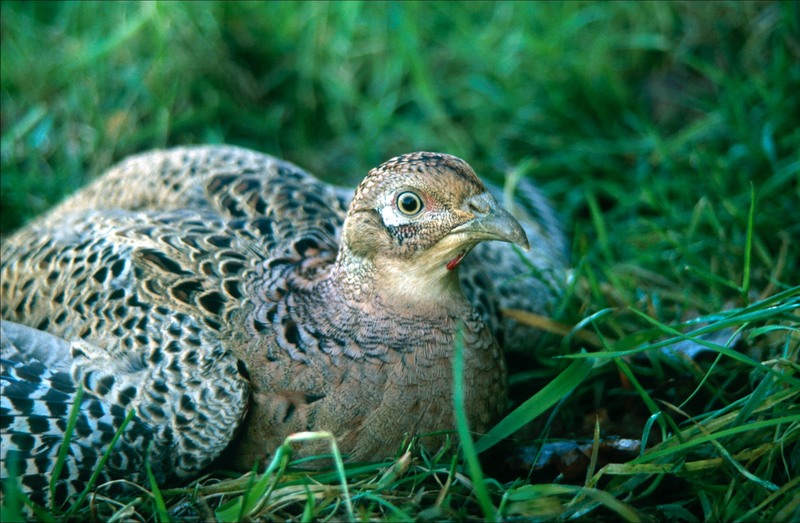 A downed bird awaits collection. 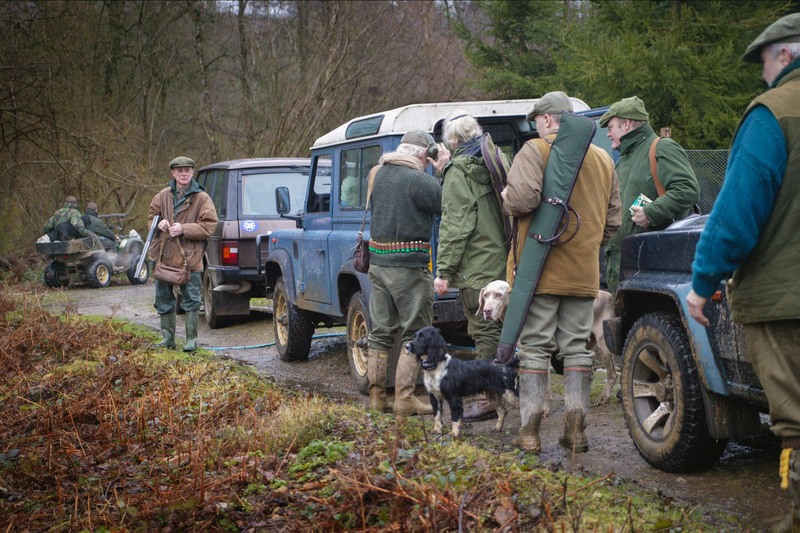 Pheasant shooting in the Surrey countryside 17/12/2004. 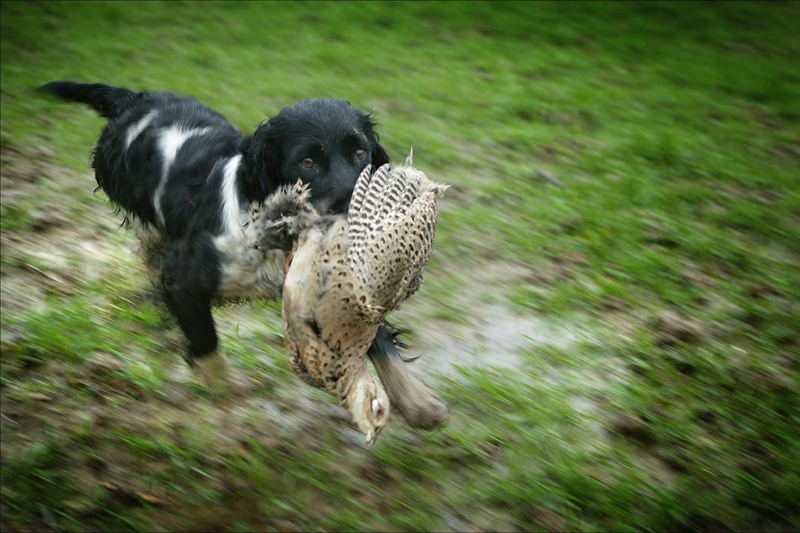 Gun dogs are trained not to damage the birds as they return them. 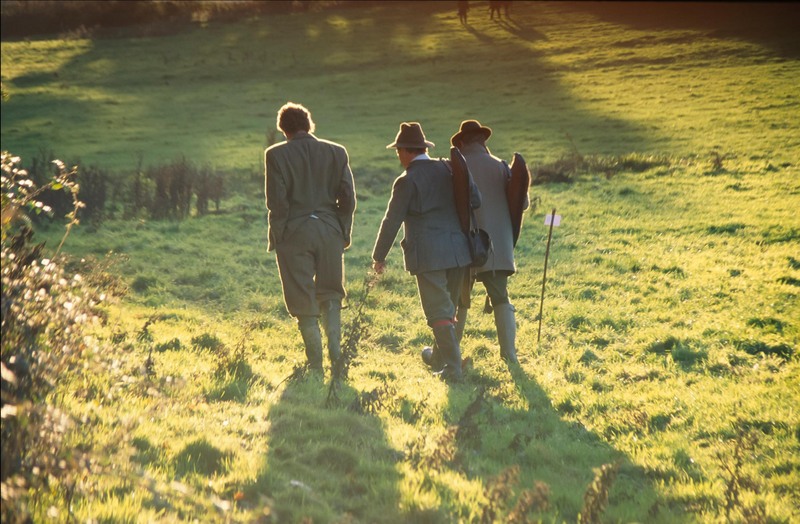 Pheasant shooting in the Surrey countryside 17/12/2004. 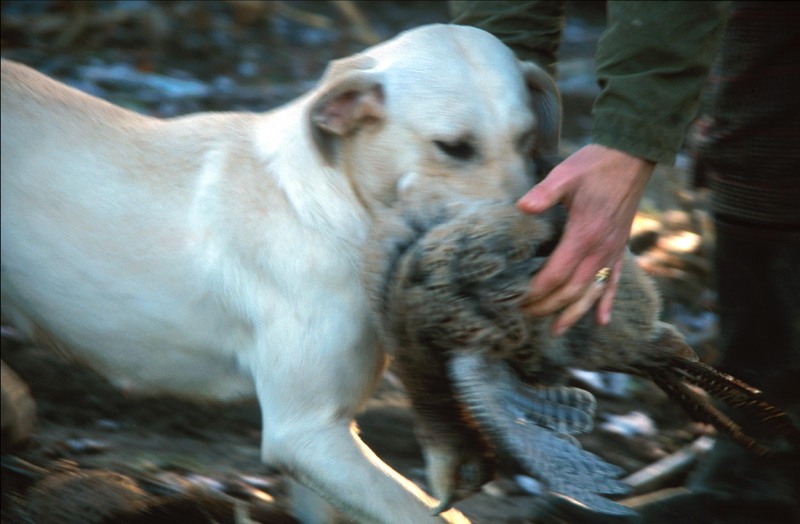 Occasionally, the treasured and dificult to shoot grouse are downed. 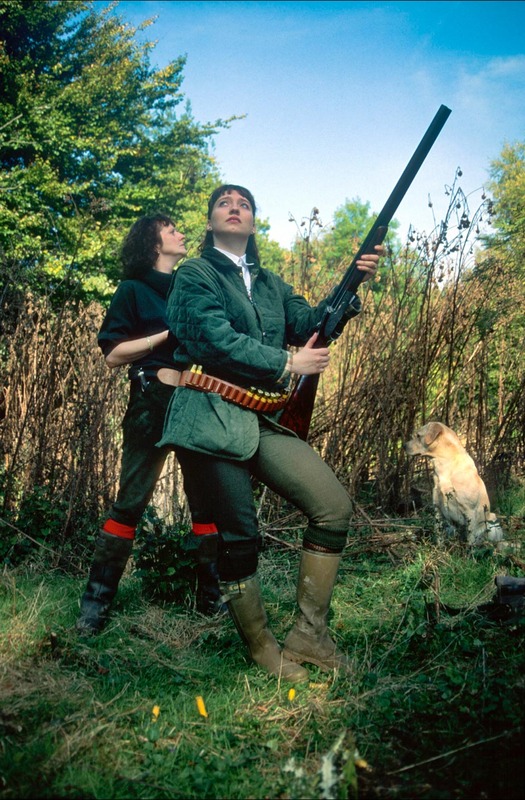 Pheasant shooting in the Surrey countryside 17/12/2004. 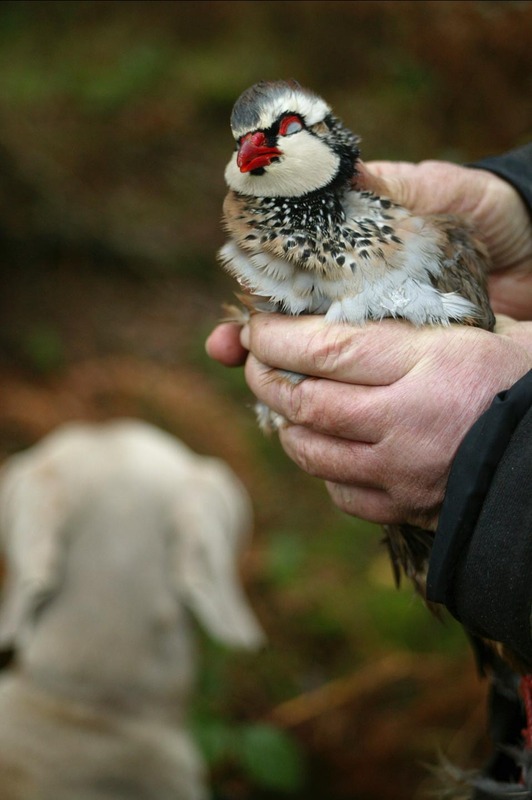 The game keepers hand collects the birds, they will be shared out at the end of the day. 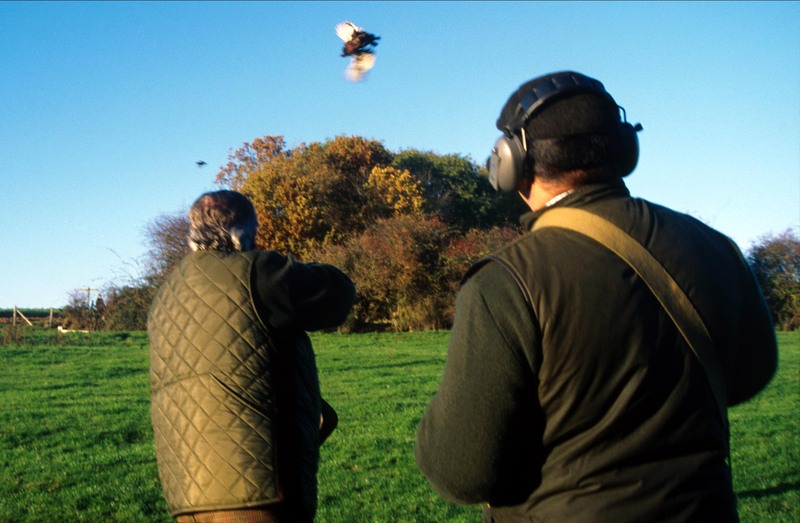 Pheasant shooting in the Surrey countryside 17/12/2004. The kill. 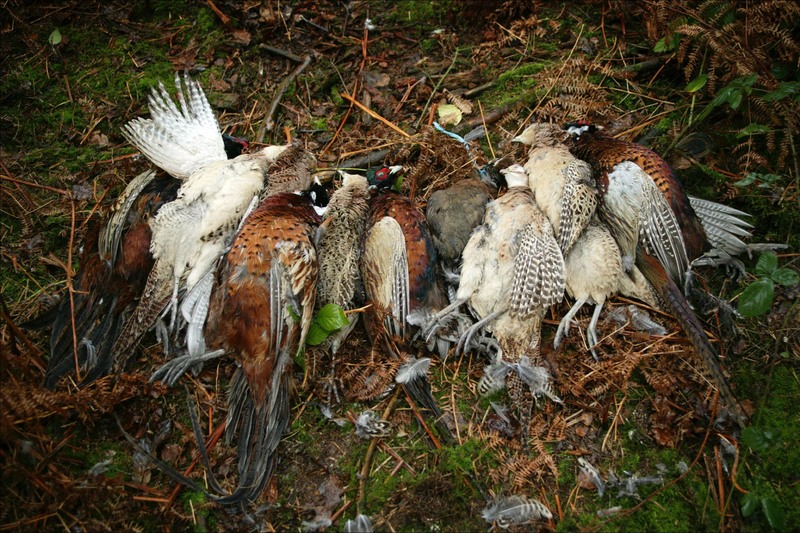 Pheasant shooting in the Surrey countryside 17/12/2004. 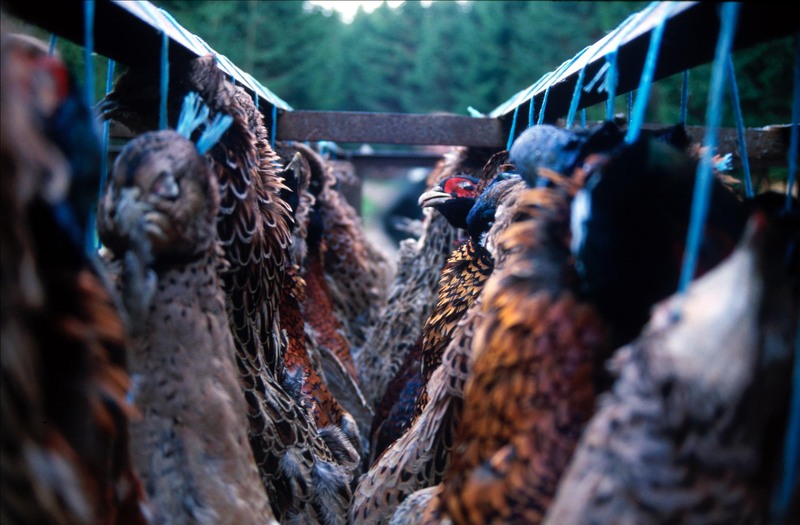 The birds are hung in preperation for eating. The longer they hang the more gamy they taste. 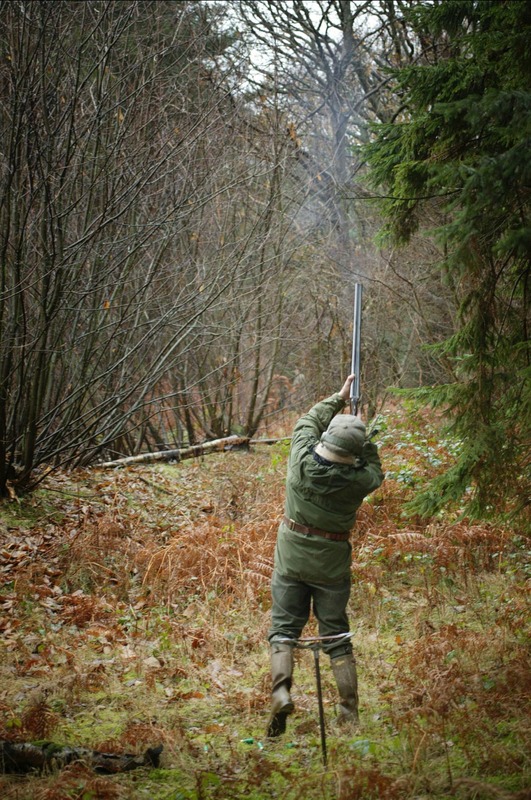 Pheasant shooting in the Surrey countryside 17/12/2004. There's always a tractor on hand! 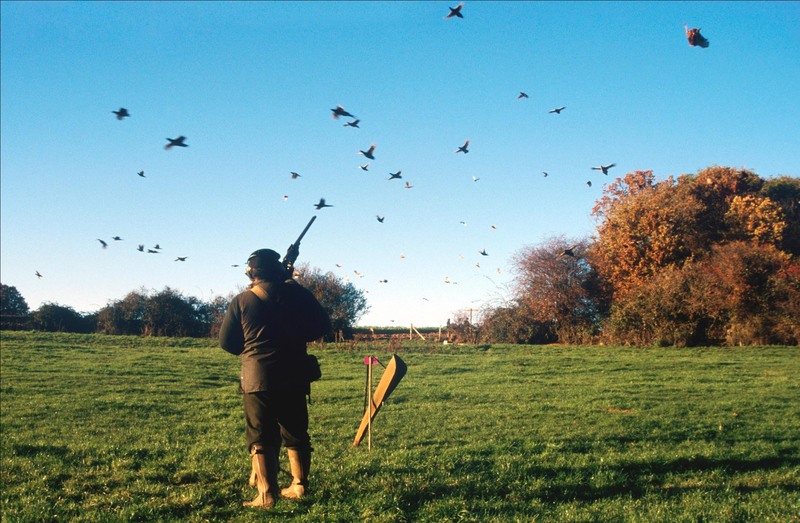 Pheasant shooting in the Surrey countryside 17/12/2004. 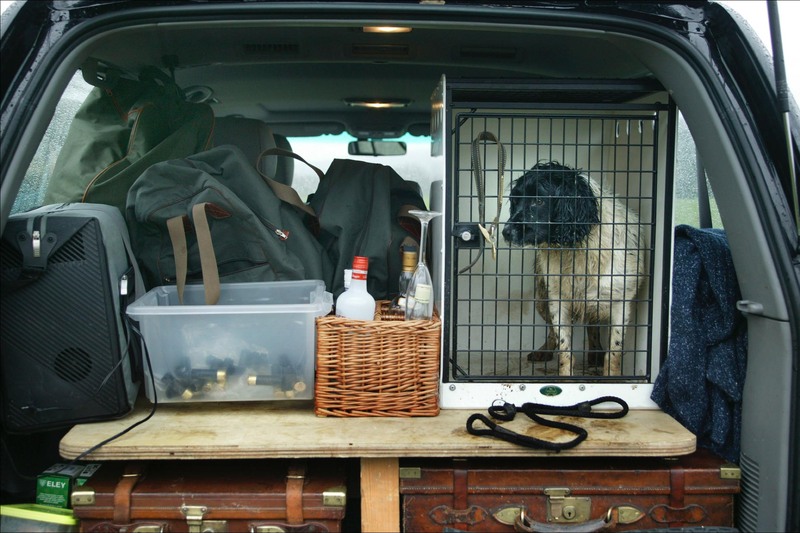 Part of the pageantry involves a glass of fizz from the hamper at the end of the day. 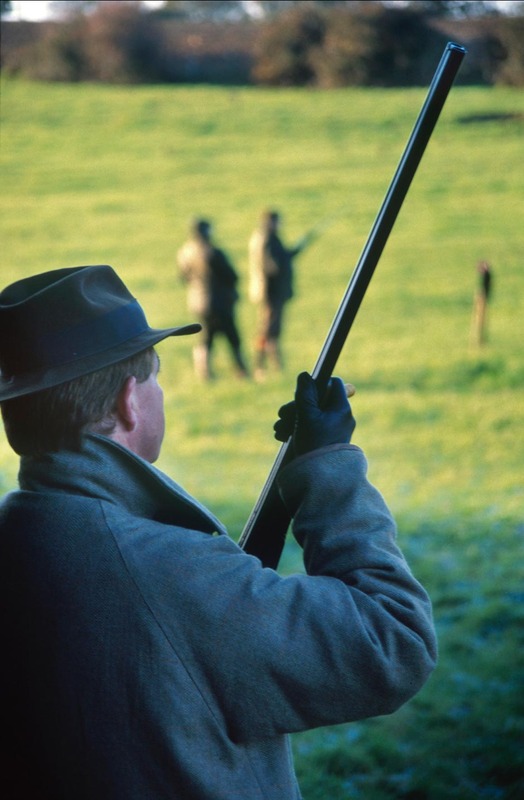 Pheasant shooting in the Surrey countryside 17/12/2004.